Click here to view Pastor Edgar's letter to the congregation for April 3, 2011. 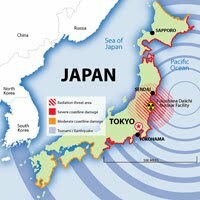 Members of the ELCA have contributed nearly $750,000 in response to the massive earthquake and tsunami that struck northern Japan on March 11. 100% of the donations designated for the Japan disaster go to the local response. The Japan Evangelical Lutheran Church has begun distributing food and non-food items to affected families in Sendai. "We ask your continued prayers and support". Rev. 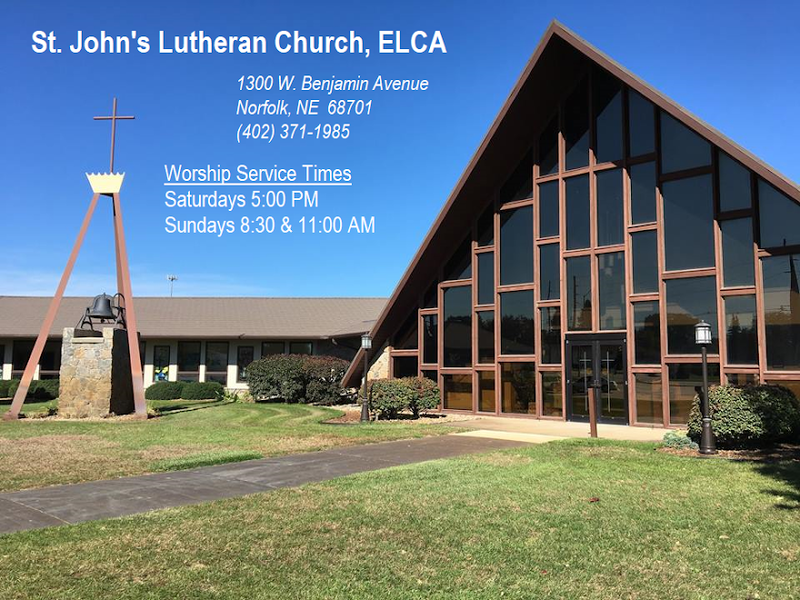 Sumiyuki Watanabe, president of the Japan Evangelical Lutheran Church, expressed his "deep gratitude" to ELCA members for their "heartfelt prayers" and the financial gifts the church has received to date. If God does not weep, then there is no love deep enough to touch the pain. If God does not get close, then there is no love real enough to meet our brokenness. If God does not touch, then there is no love earthy enough to value our humanness. Welcome to this Fourth Week of Lent! We will be listening in on the story of a man born blind. When Jesus touched his eyes with earth and spit, a journey to faith began -- and what a journey it became! It took the blind beggar from the joy of seeing the beauty of this world for the first time in his life to experiencing firsthand the cruelty of harsh, judgmental people. In the end, he found himself in a new place -- a God place. He looked ino the eyes of Jesus and experienced the joy of amazing grace. What are the stepping stones that have shaped your journey of faith? How have you been blind to God's grace in your journey? If Jesus were to touch your eyes and send you to wash, what "sight" would you hope to gain? Click here to see the bulletin announcements for April 3, 2011. Attention, all 3rd-8th Graders! Please sign up for your acolyting dates! Use the calendar posted in the west hallway to choose the worship services where you can help with this important worship ministry. Training is provided for all students. Sign up today! Wrap items in one of the receiving blankets and secure with diaper pins. Do not enclose the kit or any of its contents in plastic bags. Please return any layettes or donated items to the laundry basket at St. John's. Let's fill it up! We can make a difference! Click here for Pastor Edgar's March 27 letter to the congregation. Click here for the March 27 bulletin announcements! During this season of Lent, let us all take time to slow down and spend some thought on the sacrifice Christ made for us -- what it means for you personally. Take a minute, take a deep breath, and do this. He suffered so much for you. JUDAS has come from the village of Karioth. The big city of Jerusalem had corrupted him. But the Teacher, Jesus, had trusted him. He made him one of the Twelve -- then their treasurer. But Judas betrayed this trust and now the money was gone. It was Passover and time for the customary gift to the poor. "I think we can be generous this year," said Peter. Judas panicked. Where was he going to get the money? Join us Wednesday, March 23 at 12 Noon or 7 PM for lenten worship as we hear his story from "By My Hand -- For My Sake." We've been weaving for world hunger relief! 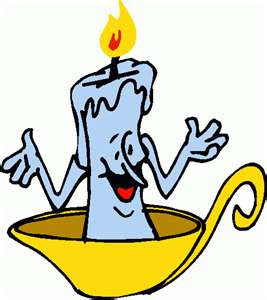 Join our 7th and 8th grade confirmation students this Wednesday, March 23rd at our 6 p.m. Lenten Meal. Buy a handmade coaster, potholder or dishcloth from our Weaving Project! Share a bowl of homestyle beef stew and support efforts to relieve hunger throughout the world. God works through our hands! Click here to read Pastor Edgar's letter to St. John's for March 20, 2011. Click here to view the March 20, 2011, announcements. On Saturday evening, March 26, St. John's Fellowship Team will host a meal immediately after the 6 PM worship service. No need to rush home -- dinner is waiting in the Fellowship Hall. Join us for fun, food and fellowship! Click here to view the bulletin announcements for March 13, 2011. Nicodemus was a member of the Sanhedrin -- strong and powerful. Or so you would think. But Nicodemus was not the man his strong-willed father had wanted. He was quiet, almost cowardly. How surprised they would all be if they knew about his late-night visit to Jesus -- the Teacher. And now this Teacher stood before the Sanhedrin in shackles. Would Nicodemus have the courage to say what was in his heart. Join us for lenten worship on Wednesday, March 16, to find out! Ash Wednesday (March 9) services are at 12 noon and 7 PM. Prior to the 7 PM service, which will feature monologs from the lenten series "By My Hand . . . For My Sake", a meal to help raise awareness for World Hunger will be served . Mercy Meals are a rice-based, 1-cup portion given once daily to millions of people around the world who are starving. You will not leave full, but enlightened. Join us in our lenten journey. Click here to view the bulletin announcements for March 6, 2011. If you love to sing but worry about a long commitment, the Majesty Choir has a cantata for you! Practices begin this week for the Palm Sunday Cantata (7 weeks away). Thursdays at 6:30 - 7:15 pm and Sundays at 9:45 am. You can practice on Thursdays, Sundays or both! See how you and the Majesty Choir fit together. All of God's children have a place in the choir!